Product prices and availability are accurate as of 2019-04-21 14:52:52 UTC and are subject to change. Any price and availability information displayed on http://www.amazon.com/ at the time of purchase will apply to the purchase of this product. 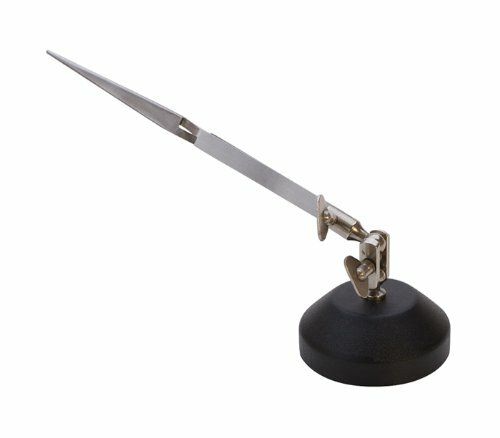 Single third hand features 6-1/2" pointed tweezers mounted on a weighted base to hold items stable and secure in any position while soldering. This item enables you to have both hands free while working on a multitude of projects.